World Weaver Press, 9780998702216, 304pp. In the Realm there are whispers. Whispers that the city used to be a different place. That before the Queen ruled there was a sky beyond the clouds and a world beyond their streets. Vaun Dray Fen never knew that world. Born a prince without a purpose in a Realm ruled by lavish indulgence, unrelenting greed, and vicious hierarchy, he never knew a time before the Queen's dust drugged the city. Everything is poisoned to distract and dull the senses, even the tea and pastries. And yet, after more than a century, his own magic is beginning to wake. The beautiful veneer of the Realm is cracking. Those who would defy the Queen turn their eyes to Vaun, and the dust saturating the Realm. From the carnivorous pixies in the shadows to the wolves in the streets, Vaun thought he knew all the dangers of his city. But when whispers of treason bring down the fury of the Queen, he'll have to race to save the lives and souls of those he loves. 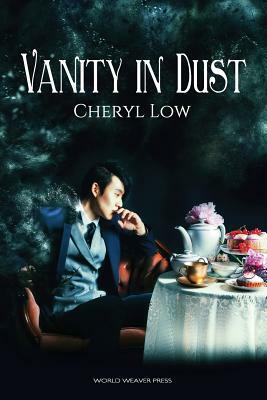 Cheryl Low might be an Evil Queen, sipping tea and peeping on everyone from high up in her posh tower-a job she got only after being fired from her gig as Wicked Witch for eating half the gingerbread house. ...Or she might be a relatively mundane human with a love for all things sugary and soap opera slaps. Find out by following her on social media @cherylwlow or check her webpage, cheryllow.com. The answer might surprise you! But it probably won't.